When you register as a patient of our practice, you provide consent for our GPs and practice staff to access and use your personal information so they can provide you with the best possible healthcare. Only staff who need to see your personal information will have access to it. If we need to use your information for anything else, we will seek additional consent from you to do this. Our practice will need to collect your personal information to provide healthcare services to you. Our main purpose for collecting, using, holding and sharing your personal information is to manage your health. We also use it for directly related business activities, such as financial claims and payments, practice audits and accreditation, and business processes (eg staff training). You have the right to deal with us anonymously or under a pseudonym unless it is impracticable for us to do so or unless we are required or authorised by law to only deal with identified individuals. Our practice may collect your personal information in several different ways. When you make your first appointment our practice staff will collect your personal and demographic information via your registration. Information can also be collected through electronic transfer of prescriptions (eTP), My Health Record, eg via Shared Health Summary, Event Summary. any of these eHealth services. We may also collect your personal information when you visit our website, telephone us, make an online appointment. When, why and with whom do we share your personal information? during the course of providing medical services, through eTP, My Health Record (eg via Shared Health Summary, Event Summary). Only people who need to access your information will be able to do so. Other than in the course of providing medical services or as otherwise described in this policy, our practice will not share personal information with any third party without your consent. Our practice will not use your personal information for marketing any of our goods or services directly to you without your express consent. If you do consent, you may opt out of direct marketing at any time by notifying our practice in writing. Your personal information may be stored at our practice by electronic records. Your records are securely stored in an electronic format, and confidential passwords are used by all staff. All staff must sign a confidentiality agreement at commencement of employment. Our practice acknowledges patients may request access to their medical records. We require you to put this request in writing by hand delivery, fax or post and our practice will respond within a reasonable time. Our practice will respond within 14days. There may be a fee depending on how the patient chooses to review/receive their records. Our practice will take reasonable steps to correct your personal information where the information is not accurate or up to date. From time to time, we will ask you to verify that your personal information held by our practice is correct and current. You may also request that we correct or update your information. How can you lodge a privacy-related complaint, and how will the complaint be handled at our practice? We take complaints and concerns regarding privacy seriously. You should express any privacy concerns you may have in writing. We will then attempt to resolve it in accordance with our resolution procedure. 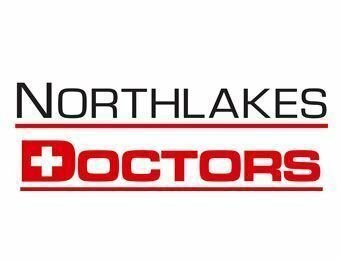 Please hand deliver or post to Practice Manager, Nothhlakes Doctors, Suite 103 Level 1, North Lakes Specialist medical Centre, 6 North Lakes Drive, North Lakes Q 4509 We will make contact as soon as complaint is received and follow up in an adequate time frame.